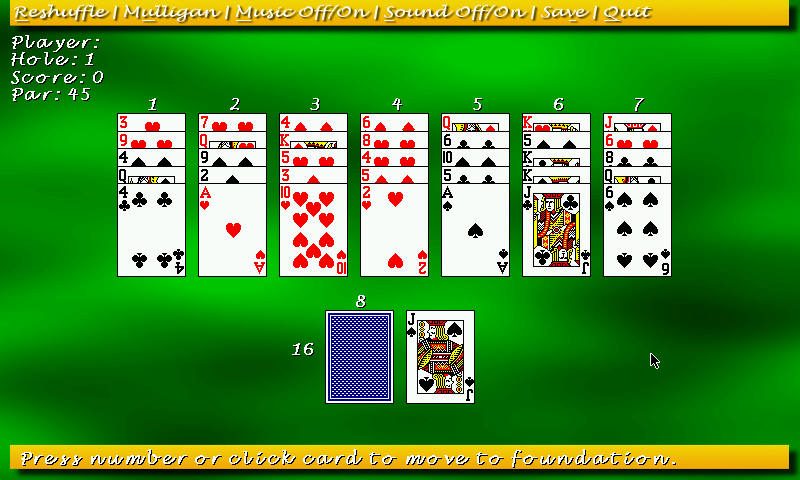 Golf Solitaire is a patience game where you play nine holes (deals) and try to get the lowest score. 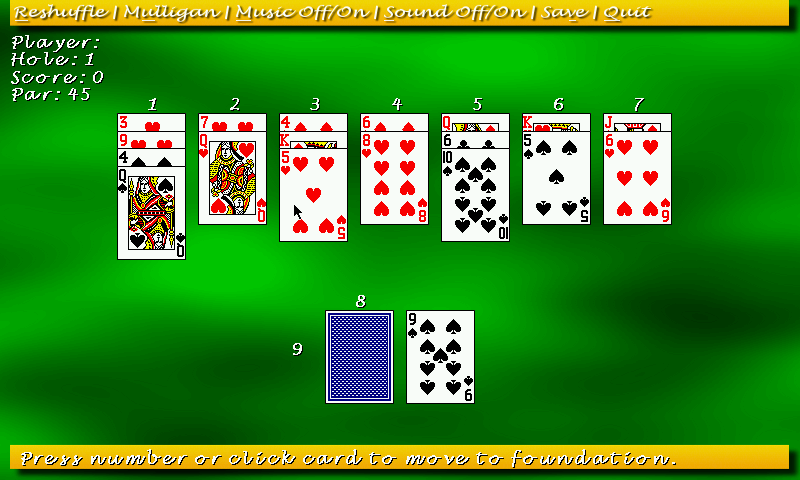 Playable with mouse or keyboard, includes sound and music. 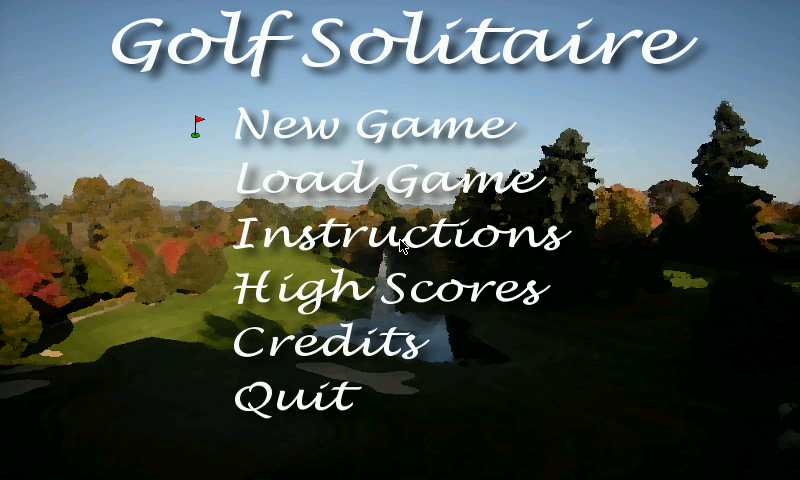 Here is Golf Solitarie, a solitaire card game. The game is developped using freebasic (freebasic compiler will be in the next codeblocks), and was initialy using FMod for sound and a 800x600 windows. The game now use SDL_mixer (with an updated libmikmod because the XM tracks made it segfault) and a 800x480 fullscreen.